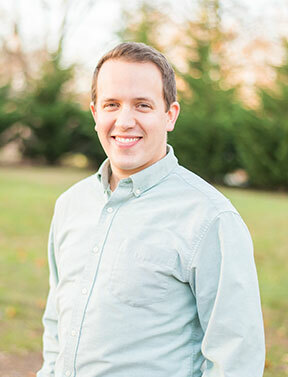 Dr. James Bush is a native Kentuckian, having graduated from Eastern Kentucky University with a degree in Chemistry and from the University of Louisville with a Doctorate of Dental Medicine. Dr. Bush also received advanced training in a general practice residency in Asheville, NC. Greenville has always been a second home to him after meeting his wife Rebekah, who went to Riverside High School and graduated from Clemson. Dr. Bush and his wife Rebekah are loving putting their roots down with their three young boys, Thomas, Henry, and Jack. As a family, they are often hanging out, swimming, or just simply enjoying the beautiful SC weather. Dr. Bush also enjoys reading, fishing, getting together with friends, and cheering for Clemson and the Louisville Cardinals.